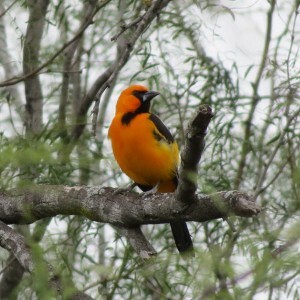 A little bird that breeds way North of here and normally winters way South of here is visiting the backyard, but those visits have at times been painfully and excruciatingly sparse and while many birders have seen the bird, at least an equal number have dipped. Sharp-eyed birders gathered today (Feb. 2) got glimpses and photos of the bird, including Laurel, Diane and Faye of the Willettes birding group of Tacoma and Auburn-resident Garrett and Tacoma resident Al. But birders who arrived minutes later waited many hours in vain. And what’s worse, today’s appearance did not involve a bath. The premise of the stakeout is the unspoken assumption that this little warbler feels a need to bathe every day in Butyl Creek. If that isn’t true, then the prospects for the stakeout are a bit grim: birders are reduced to simply hoping a foraging bird in a large winter territory happens by. We’ll see how the stakeout goes from here. 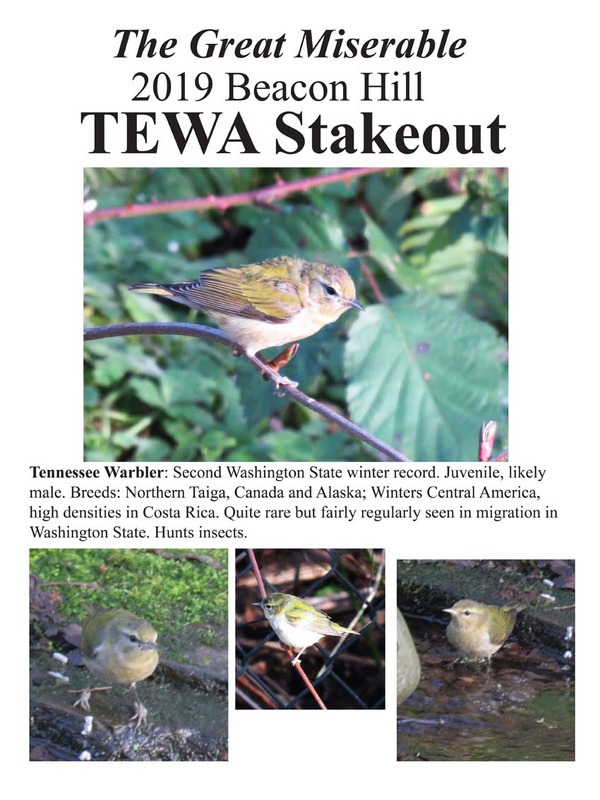 This Tennessee Warbler is the second Washington State record for a wintering bird.